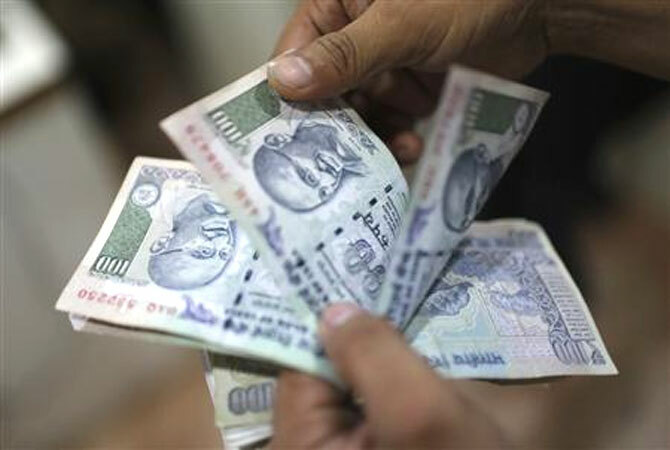 Country's economy is likely to grow at 5.5 per cent in the fourth quarter of the current fiscal on higher agriculture output and pick up in the manufacturing activities, Prime Minister's Economic Advisory Council chairman C Rangarajan said on Friday. "I see some greenshoots in Indian economy. . .In order to achieve growth rate of 4.9 per cent for year as a whole, the fourth quarter growth rate will have to be at 5.5 per cent. “Weight of fourth quarter is greater than other quarters so it's not 5.7 per cent but actually it is 5.5 per cent," Rangarajan said at an event organised by the Confederation of Indian Industry. 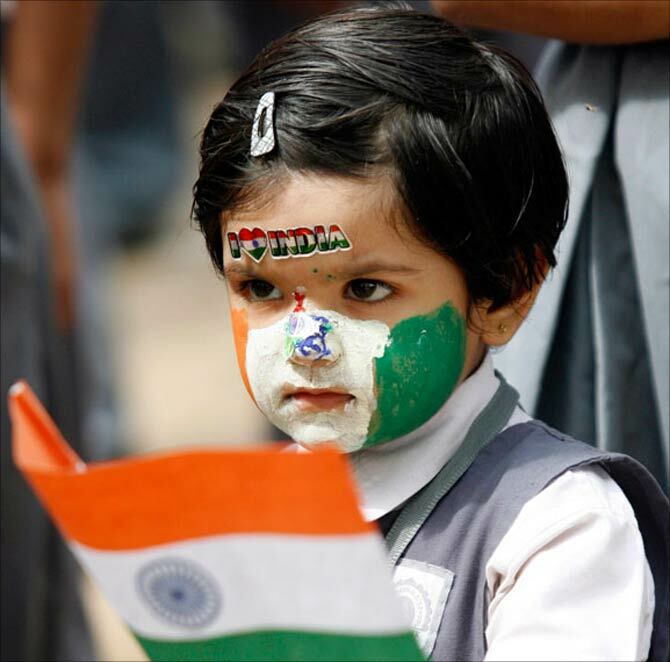 Image: A child holds a national flag. "I think it is achievable because there will be substantial improvement of growth rate in agriculture in the fourth quarter. “As far as manufacturing is concerned, perhaps there will be pick up in manufacturing activities in February and March," he added. 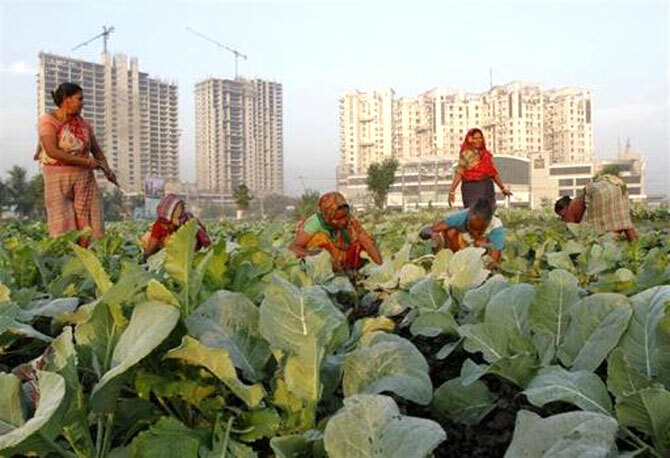 The Indian economy grew 4.7 per cent in the third quarter of this financial year on improved performance in the agriculture and services sectors. Given the performance in the first nine months and gross domestic product growth of 4.9 per cent projected by the Central Statistics Office in its advance estimates for this financial year, the economy must expand 5.5 per cent in the fourth quarter ending March 2014. 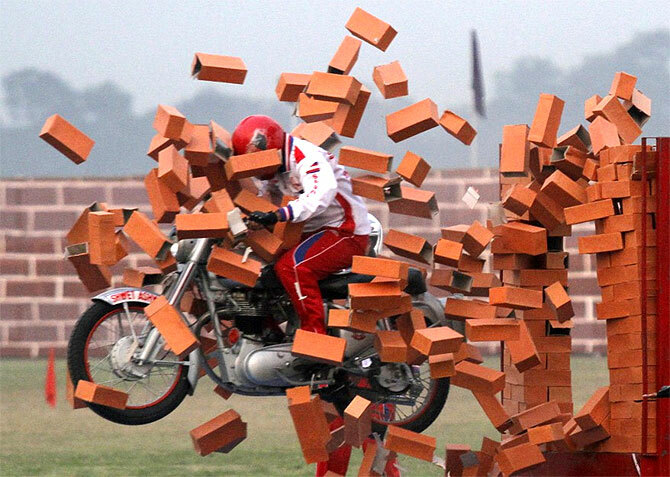 Image: The Indian economy grew 4.7 per cent in the third quarter of this financial year. "As we go ahead, I expect growth rate to pick up further to 5.5-6 per cent in the next fiscal year," Rangarajan said. On possibility of RBI cutting interest rate in the next policy review which is scheduled for April 1, 2014, Rangarajan said, "I think retail inflation at 8 per cent is still high rate. “But I believe that if inflation moves down further it will give greater room to the monetary authority to cut interest rates." Image: The Reserve Bank factors in both retail and wholesale price-based inflation data in its monetary policy. Retail inflation in February has come down to a 25-month low of 8.1 per cent. Wholesale inflation fell to nine-month low of 4.68 per cent in February due to easing prices of kitchen staples like onion and potato. The decline in inflation is much on the expected lines of the Reserve Bank, which had hiked key interest rates by 0.25 per cent in its last monetary policy review. The Reserve Bank factors in both retail and wholesale price-based inflation data in its monetary policy. Image: Retail inflation in February has come down to a 25-month low of 8.1 per cent.